The countdown timer is a popular device because of the hectic and fast-pace place in which we are living. People are quick in setting goals as well as milestones that are based on specific dates, or hours for when an important project or event should be completed. Here is a list of best free countdown timers software. These let you start a countdown timer easily. MP3 Pizza Timer is a free tool to set countdown timers for various events. When you make a pizza or tea, use this free application to count down the time and simultaneously plays music as a reminder. Users will get options of playing, stopping, and pausing the song. 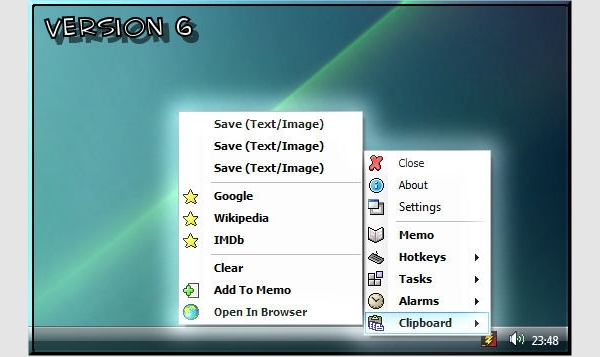 Vector Clocks is a freeware for setting countdown timer for various important events. This desktop alarm clock application shows date and time in a digital format. Users get an option to choose from more than 100 different types of skins for customization. 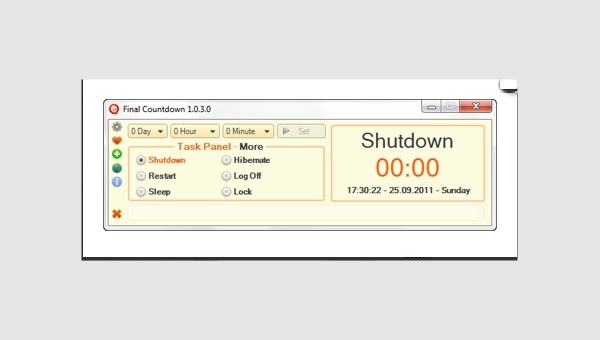 Final Countdown is a freeware for setting countdown sleep timer for various events such as: hibernate, standby, log off, lock, sleep and shutdown your PC at predefined time. Better Support For Multiple Instances. Better Support For Windows Xp and Below. 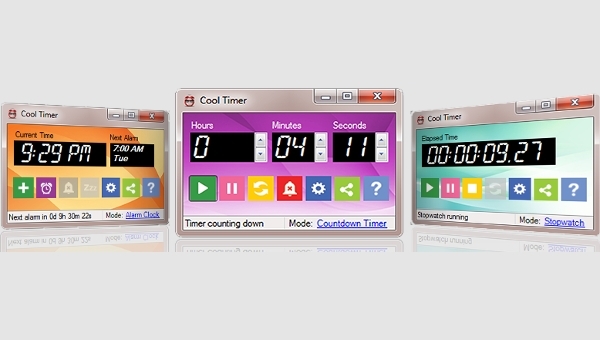 Cool Timer is a free application to set up countdown timer on your PC. By using this application, you can keep a track on your daily schedule and important tasks. Cook Timer is a free tool to set up countdown timer for various important events such as: cooking, making tea or coffee, making egg dishes, playing football, or working out in the gym. Compact Timer is a free tool for setting countdown timers for various important events. 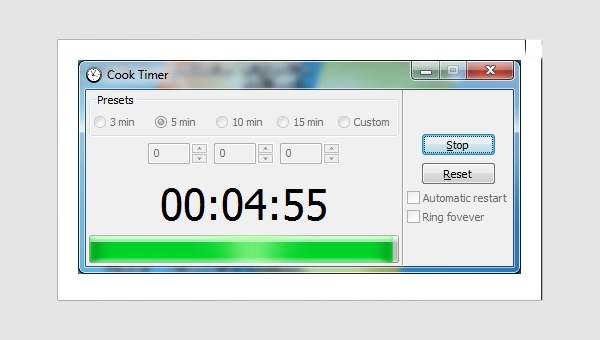 This freeware has all the essentials you will expect from countdown timer software. 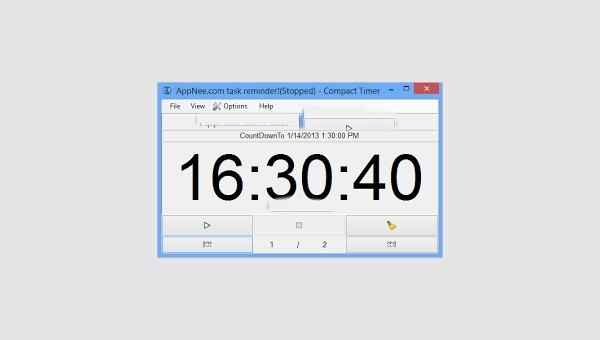 Taskbar Timer is a free tool for setting up a countdown timer. It runs from the system tray. 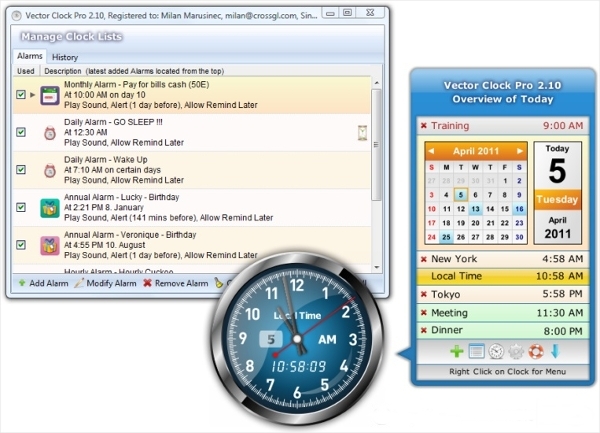 SwizzTool is a useful freeware for scheduling activities such as: locking of workstations, opening a program, closing a program, and turning off PC. 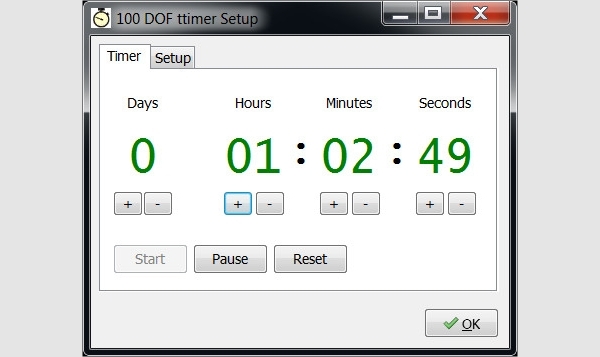 Ten Timer is a free tool to set countdown timer. 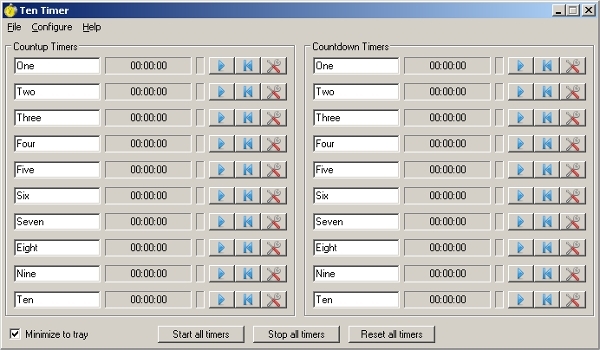 There are 25 countup and countdown timers available in this freeware. How to install countdown timer software? Everyone’s had the experience of sitting down at the computer and suddenly realizing that hours have passed in the blink of an eye. Whether you need to remind yourself of an upcoming event or just give yourself a reminder of how much time you’ve spent online, all our mentioned software can be a good choice. You can install any of the above countdown timer software by simply clicking the download button to start downloading the software Installing any of the above mentioned software requires no hard work or special skill as any person can do it if they have ever installed any software before. Some of the application does not even require to install. The software discussed here can run on almost every computer model running on Windows Operating System. So you don’t have to worry about system specification requirements. The software is fully featured that does backup of all data on a regular basis. Which is the best countdown timer software? All of the above posted softwares have advanced features like they keep a track of your precious time, setting the timer in hours, creating timer in minutes, input time in seconds, some of these software are portable, various types of countdown timers, countdown timer to shutdown your PC, timer for restart and log off your PC, and more. So, go through this list of free countdown timers software and see which ones you like the most. We have discussed some of the best software’s according to their performance, features, and customer experience. This all-important device can also be used for fun such activities as providing a sense of anticipation for a birthday, a wedding or any other party. It is possible to also customize the display of the app according to the occasion so it blends in. This handy device can be used as an egg timer, or when you are cooking meals in your kitchen. 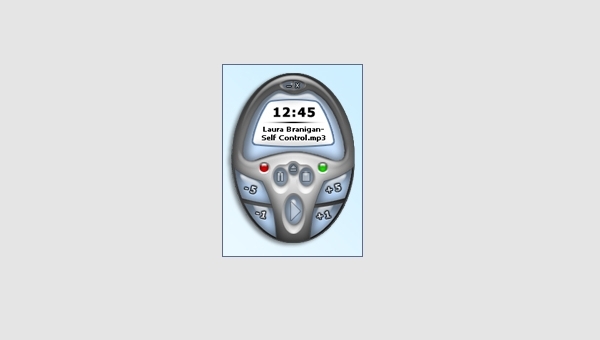 Other uses for this gadget include counting down to a wedding anniversary, a vacation, a baby delivery and holidays.